Many homes are vulnerable to hurricane damage, but you can take numerous steps now to ensure that you and your family can weather the storm. Summer is upon us, and with it come visions of long lazy days relaxing in the sunshine. This summer weather, however, has an ugly and dangerous cousin: hurricanes. The latest forecast for the 2017 hurricane season—which runs June through November—calls for slightly above average storm activity, with 11 to 17 storms that are large enough threats to be given names. Of those, five to nine are expected to hit hurricane strength and two to four may be classified as major hurricanes, hitting Category 3 or stronger. These “categories” refer to ratings on the Saffir-Simpson Hurricane Wind Scale, which helps meteorologists understand its significance. Categories range 1 through 5; the higher the number, the more devastating the winds. Though squarely in the middle, Category 3 is still s a force to be reckoned with: It implies winds ranging from 111 to 130 mph, often causing damage to even well-built frame homes and loss of electricity and water for up to weeks after the storm. 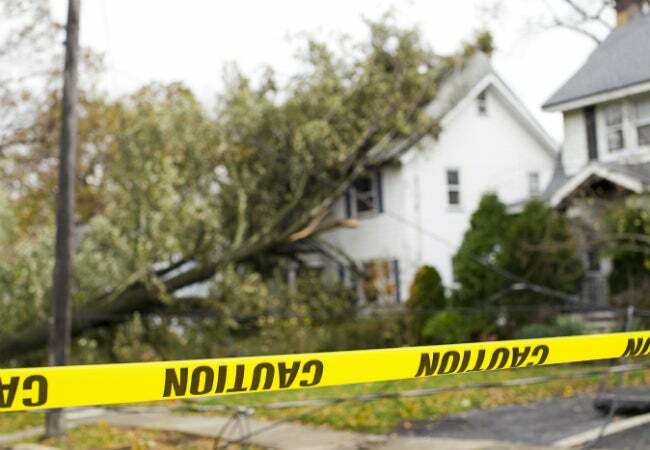 While nothing can completely eliminate the dangers of strong winds and driving rain, some tasks do diminish the risk of damage to your home in the event of a hurricane. Start with this guide for how to prepare for a hurricane. First, prepare some basics before a hurricane is in the forecast. • Put together a disaster preparedness kit. 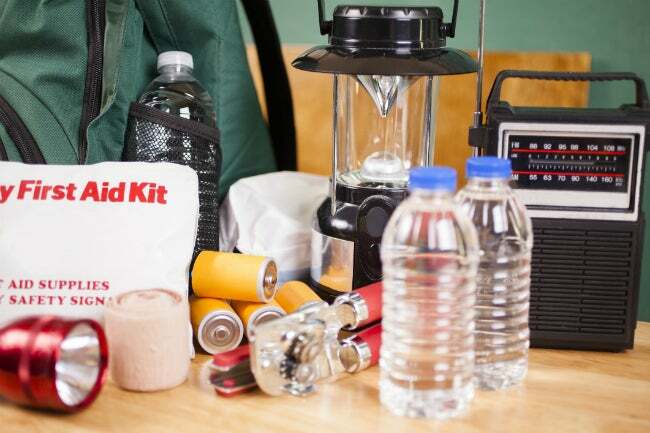 You’ll want to include a working flashlight, batteries, chargers, first aid supplies, medicines, cash, extra clothing, and copies of any critical information that you need if you are called upon to evacuate an area (passports, emergency contacts, and insurance information). It’s smart to also pack a kit with some non-perishable food items, including energy bars, jerky, bottled juices, and powdered milk. • Once you’re all packed, determine where you need to go in the case of an evacuation. Local government will be able to provide both the location of emergency shelters and the best hurricane evacuation routes. If you’re traveling with animals, it’s best to check in advance whether or not pets are allowed at the shelter; many will not allow pets, so you will need to make arrangements to keep them safe. • Establish an emergency communications plan with family and neighbors. Sending text messages is usually reliable and faster than making phone calls because phone lines are often overloaded. Many municipalities have text or email alerting systems for emergency notifications; to find out what alerts are available in your area, search the Internet for your town, city, or county name and the word “alerts.” You may want to purchase a hand-cranked or battery-powered radio and keep it tuned to the radio station broadcasting National Weather Service alerts. • If you are not advised to evacuate, plan to have adequate supplies of food, water, and essentials. These reserves should sustain you in case you lose power and are unable to leave your home due to blocked roads, flooding, or downed trees. Since you may not have access to clean water for a few days, fill plastic bottles with clean water for drinking, then plug and fill bathtubs and/or sinks with water for flushing the toilet or washing. You may also consider investing in a portable generator, topping off the car’s gas tank, and filling any spare gas cans for fuel reserves until power is restored. • Trim or remove any damaged trees or limbs that could fall during strong winds. You especially want to make sure that tree limbs do not overhang the roof or scrape along the sides of your house. While you’re inspecting the grounds, examine the rain gutters and downspouts: Secure any loose components, then clear clogs to prevent water damage to your property. • Bring any loose, lightweight objects inside. Don’t let your patio furniture, garbage cans, toys, garden tools, hanging planters become projectiles in high winds. Those objects that cannot be brought inside—including propane tanks and power equipment—should be tied down or anchored. • Check and replace any damaged window glass, roof shingles, or siding sections before it’s too late. Consider investing in storm shutters and close them when a hurricane is nearing your area; even then, stay away from the windows during hurricanes to avoid flying glass from broken windows. If you don’t have storm shutters, consider boarding up your windows with plywood; pre-cut the sections to fit your windows and have them ready to go in an easily-accessible location. • When a hurricane is approaching, make sure electronic devices are at full charge—and we mean more than just your cell phone. Turn the refrigerator and freezer to the coldest settings, and avoid opening the doors to prevent food from spoiling. Move your furniture and valuables to higher floors of your home if you live in an area where flooding is likely. Unplug small appliances, computers, and electronic equipment to reduce the potential damage from power surges that may occur. Turn on your television or radio, or check your community’s website every 30 minutes in order to get the latest weather updates and emergency instructions. Follow the evacuation orders from local officials, or remain in your home (pets included) if so advised. Check-in with family and friends by texting or using social media. If you do go out, watch out for debris and downed power lines. Avoid walking or driving through flood waters, which may be electrically charged from underground or downed power lines and may hide dangerous debris or places where the ground is washed away. Plus, just six inches of fast-flowing water can knock you over and two feet will float a car! Flood water also may be contaminated with sewage, or contain dangerous insects and animals. If you are caught on a flooded road with rapidly rising waters, get out of the car quickly and move to higher ground. Don’t walk on beaches or riverbanks, which may be compromised due to erosion. For more information, check out the hurricane-preparedness site at the Department of Homeland Security or download a hurricane safety checklist from the Red Cross.